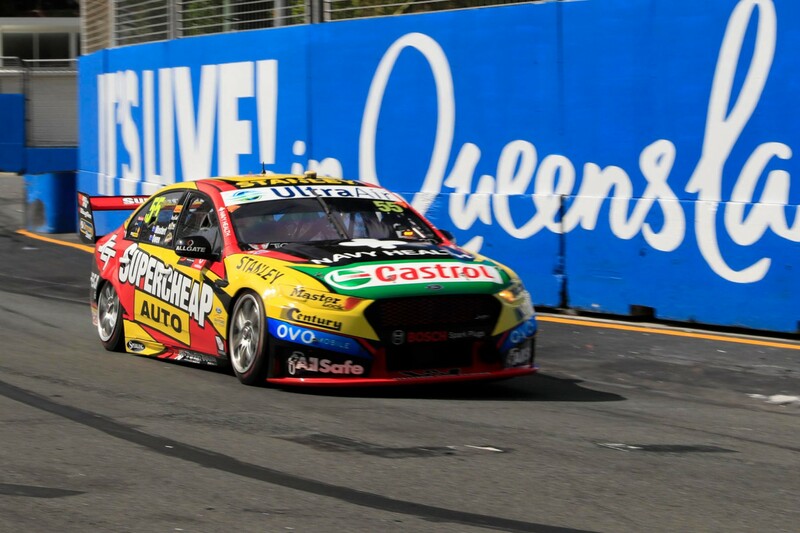 Chaz Mostert declared himself finally comfortable with the Surfers Paradise street circuit after Friday practice, as he chases his first top-five finish at the venue. 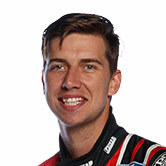 Mostert has not started or finished in the top-five on the Gold Coast in any of his previous three visits, scoring a best result of sixth last year. The Supercheap Ford ended the day second on the practice timesheets, just 0.1858 seconds adrift of Jamie Whincup, having topped the morning’s opening hitout. Mostert said improvements to the Prodrive Ford package in the last 12 months helped him build confidence during the two 30 minute sessions. It was a solid day for the Melbourne-based squad, with team-mates Mark Winterbottom and Cameron Waters ending up seventh and eighth respectively. “Today was probably the first time ever here that I actually felt comfortable out there, in a way,” he said. “Bouncing off the kerbs in previous years, I didn’t know exactly where I should brake, or lock a brake and I will shoot down the [escape roads]. “But this year I have a good feeling in the brakes, the tyres are giving a good response back and obviously the car is working very good as well. “As a turnaround, as a whole team I think we have done a pretty good job from 12 months to where we are now. Co-driver Steve Owen is a former winner on the Gold Coast, taking out the second leg in 2010 while sharing a Triple Eight Holden with Jamie Whincup. Owen was sixth in Practice 2 for the part-timers and is hoping to add to his trophy collection in his 100th Supercars event start. While co-drivers traditionally start each of the 300km races, predicted rain tomorrow has led to suggestions that teams could opt to change their strategies to minimise risk in the first stint. “I am going to do a deal with Chaz,” smiled Owen.